Harvey Energy, the first platform supply vessel (PSV) to be fueled by liquefied natural gas (LNG) will become the first PSV in the Americas to be hybrid retrofitted. The vessel's owner, Louisiana-based Harvey Gulf International Marine, has ordered an energy storage solution from the technology group Wärtsilä to significantly enhance Harvey Energy's efficiency and environmental performance. 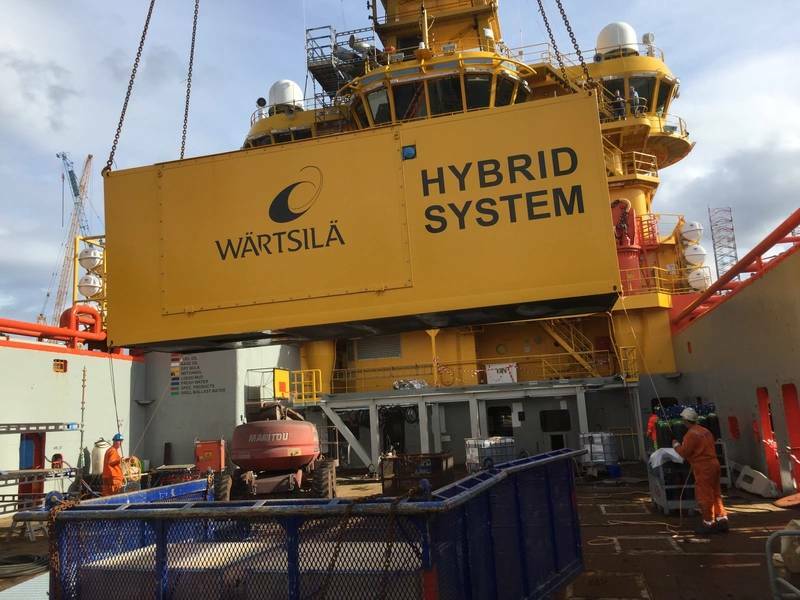 The installation of a Wärtsilä 1450 kW battery hybrid solution will reduce the ship's exhaust emissions, fuel consumption, and noise level. The overall fuel cost savings are expected to be in the range of 10 to 20 percent. The battery capacity will be sufficient to sail in and out of harbor on electric power, while also providing hotel load electricity when docked, which will reduce noise and pollution levels in the harbor area. Furthermore, the ability to operate on battery power will assist maneuverability during critical dynamic positioning (DP) operations at the offshore platform. Included in the solution are the Energy Storage System, the Energy Management System, the transformer and drive, all mounted within a single container. The project will also include integration with the existing Wärtsilä Power Distribution, Power Management, and Integrated Automation Systems. The order with Wärtsilä was booked in April 2019, and the equipment is scheduled for delivery in December 2019. "We chose Wärtsilä as our partner several years ago due to their significant experience in LNG and dual fuel engine technology, which fit very well with Harvey Gulf's mission to have the most fuel efficient environmentally friendly fleet of platform supply vessels in the Americas. When we decided to enhance these traits by installing hybrid technology, Wärtsilä was the natural choice," says Shane Guidry, Chairman and CEO of Harvey Gulf. "In addition, Wärtsilä's excellent knowledge of our company and our business has resulted in very strong service support after the vessel delivery. This support has proven itself in zero unscheduled down time on the five LNG fuelled PSV's in Harvey Gulf's fleet. We believe our mutual project will have a considerable impact in the market and will further the environmental drive towards sustainable solutions in the offshore market space." Wärtsilä's hybrid solutions are based on a 'first-of-its kind' fully integrated hybrid power module. This combines engines, an energy storage system using batteries, and power electronics optimized to work together through an innovative, Wärtsilä developed energy management system. The solution marks a new benchmark in marine hybrid propulsion. 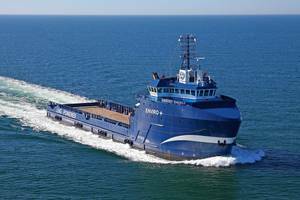 While the Harvey Energy will be the first PSV in the Americas to have a hybrid retrofit, Wärtsilä has already completed a number of hybrid retrofits for PSVs in Europe.